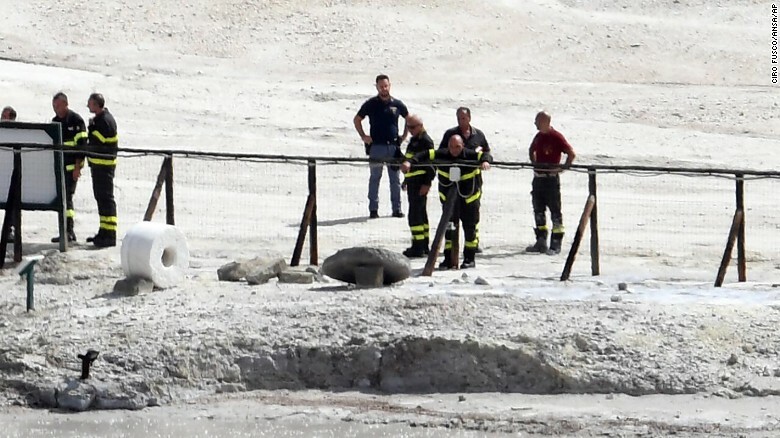 Rescue workers stand near the crater in Pozzuoli, Italy, after three people died there Tuesday September 12. 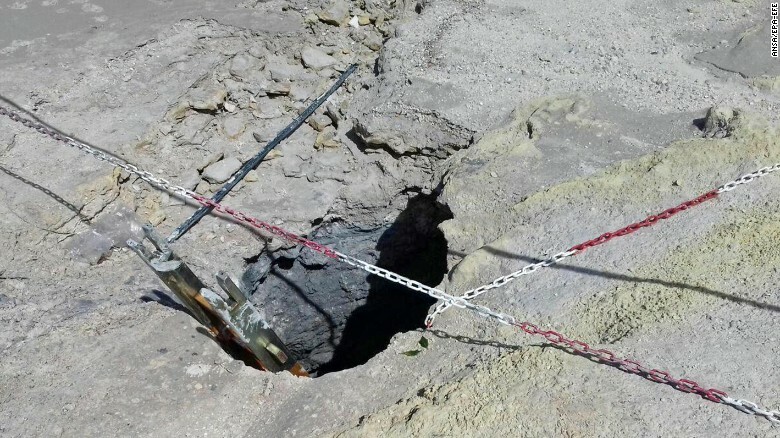 Rome (CNN) An 11-year-old boy died after he fell into a volcanic crater in Italy and his parents also died when they tried to help him, police said. A view of Solfatara crater near Naples on September 12. Scientific hypotheses are normally quite fun to try and gather evidence for. Einstein’s ground-breaking theories of relativity, for example, have been continuously backed up by the most extraordinary discoveries ever since they were first published near the start of the 20th Century. In science, proving bad ideas wrong is a marvel, but confirming that your ideas are correct is arguably even more thrilling. There are exceptions to this though, and since North Korea is in the news a lot at the moment – in-between mentions of the Nazis and the President’s inability to look at the eclipse properly, that is – it’s worth taking a look at the Hermit Kingdom’s sleeping dragon: a volcano named Mount Paektu. Located on the border of China and North Korea, it’s got one hell of a reputation. The current leader of North Korea is supposed to have summited the 2,744-metre (9,003-foot) stratovolcanic beast all by himself on foot, which seems about as unlikely as the story of the late Kim Jong-il being born there. Putting aside its mythology, it’s currently causing concern among volcanologists. Its storied geological history – which we’ll get into in just a tad – is so violent that even the notoriously secretive North Korean government has enlisted the help of British researchers to poke around a bit. Well, bizarrely, thanks to North Korea’s nuclear weapons program, it might be any day now. According to a separate studyconducted over the last couple of years, the country’s underground weapons tests are sending powerful pressure waves towards Paektu’s massive magma chamber. This pressure is essentially being transferred to the magma, and at a certain point, it could cause the rock surrounding the partly liquid doom to crack, and thereby trigger an eruption. Heaven’s Lake, at the top of Mount Paektu, seen here in winter. Mathematics is a rather wonderful thing. It can predict with perfection when and where solar eclipses will happen, just as it can calculate how long it will take for Jupiter’s moon Io to be torn apart by the gas giant’s immense gravitational well. In this instance, it can also be used to work out how powerful an underground nuclear blast is required to push a magma chamber into a state of overpressure. The most recent nuclear weapons tests, based on their seismic wave patterns, are around 5-5.6M on the moment magnitude scale, which – along with plenty of other evidence – suggests they are basic atomic weapons, with yields of around 10 kilotonnes of TNT. For comparison, the atomic weapon dropped on Nagasaki at the end of the Second World War had an explosive yield of just over twice that. Although these pressure waves did indeed make their way towards Mount Paektu 116 kilometers away, they clearly weren’t enough to trigger an eruption. In order to send the magma chamber into overpressure, North Korea would need to detonate a hydrogen bomb at the same Punggye-ri subterranean test site. This more complex two-step device, one which uses a fission (splitting) reaction in a primary bomb component to compress a heavy hydrogen core (fusion) in a secondary component. Even the most simplistic hydrogen bomb would create an earthquake registering as a 7.0M, and according to the study, this would be enough to trigger an eruption. If it did, then what would happen? Well, let’s take a look at the aforementioned history of Paektu. Although there was a minor eruption back in 1903, back in the year 946, a true cataclysm occurred. Known as the Millennium Eruption, it unleashed 100 cubic kilometres of volcanic debris, smothered the surrounding landscape in pyroclastic flows, and unleashed 1,000 times more energy than the famous 1980 eruption at Mount St. Helens. The eruption also flooded the regional skies with 45 million tonnes of sulphur aerosols, which plunged the area into darkness. Although it didn’t affect the climate as much as researchers expected, if it were to happen again today, many thousands of people would die, and millions more would see their agriculture collapse. In a country that is already vulnerable to food shortages, this could trigger an unprecedented famine – which, in turn, could trigger all kinds of chaos. Who knows. Maybe the mathematical calculations are off, or maybe an eruption at Paektu would be more like the one at the turn of the 20th Century than the one that took place a thousand or so years ago. The only way for this hypothesis to be proven is to see what happens when North Korea actually detonates a hydrogen bomb – a milestone that no other nation on Earth wants them to achieve.